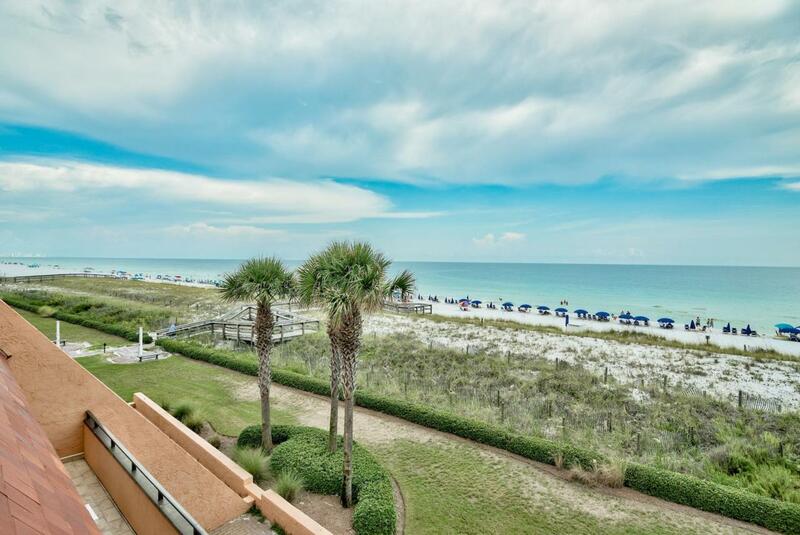 Indulge yourself and enjoy the uncrowded beaches with this direct Gulf Front 3 bedroom 3.5 bath condo on Holiday Isle in Destin! 307 is located in the western gulf front building of the Aegean, close to the elevator for ease of access. This is the largest complex floor plan with three levels of large living for use as a vacation rental, second home or as a primary (plenty of storage and owner designated parking). The first floor features a spacious kitchen with custom cabinets, solid surface counter tops & stainless appliances, guest bathroom, extensive dining & living area leading to a gulf front balcony with mesmerizing water views.On the second floor is the guest bedroom & bathroom, laundry and the master suite with its own balcony for those soothing sounds and sights of the ulf. The third floor will delight the kids with double bunks, it is set to sleep 6 with a fully renovated bathroom. Enjoyment for years to come! 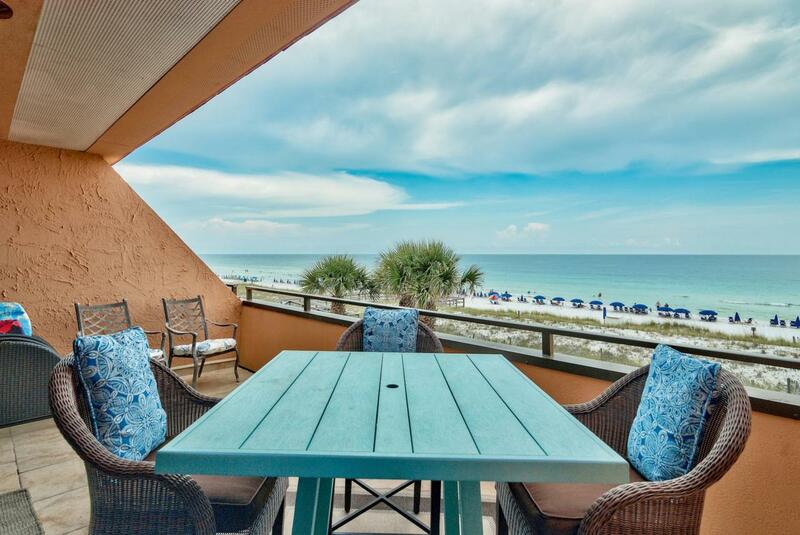 The legendary Aegean is a Destin icon. 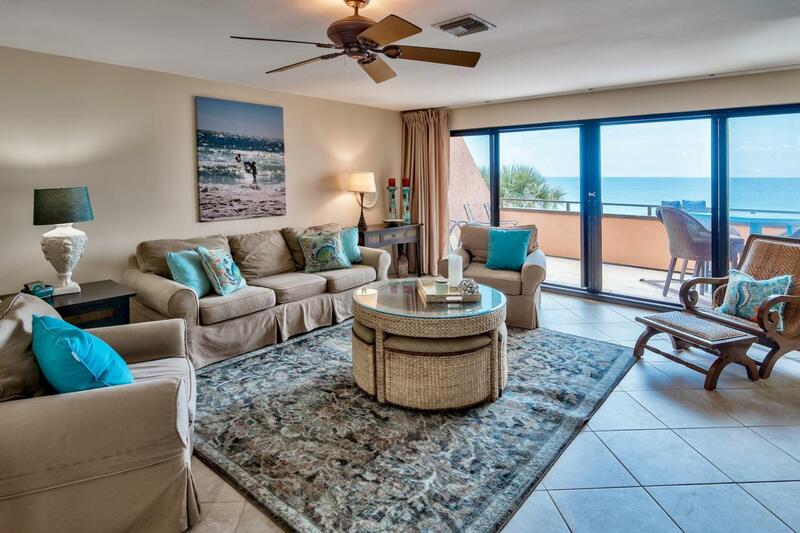 This gated, low rise condo is situated on over 600 feet of beautiful white-sand beaches with only 80 total units lending to total "toes in the sand" relaxation. 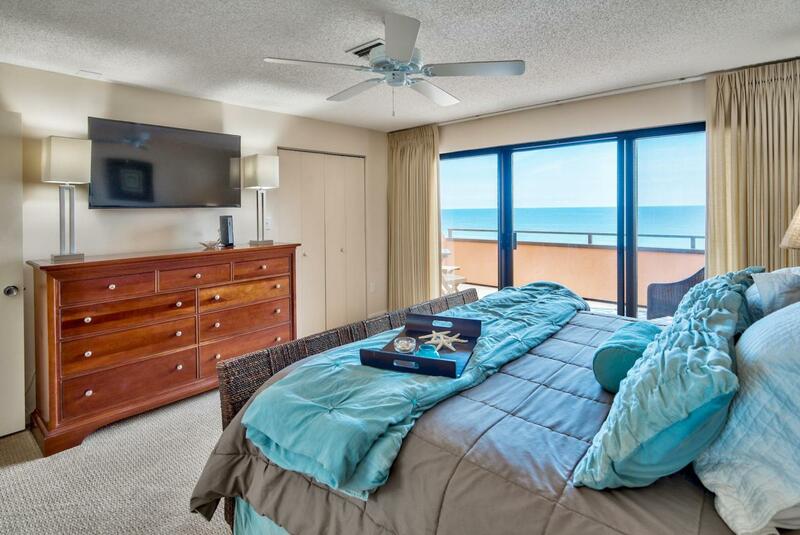 Amenities include dune walk over, lush pool area & pool, grilling gazebo and 2 tennis courts.